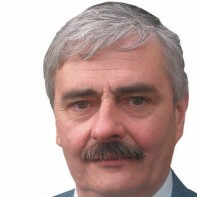 Michael Gallagher is Sinn Féin's general election candidate in Meath East. Gallagher was chosen as one of Kells' six representatives on Meath County Council in 2004. He served on the council for five years but was not returned when he stood for re-election in June 2009. Gallagher is Sinn Féin's spokesperson for Agriculture and ‘Bury the Pylons’ campaign. Gallagher is the chairperson of Drumconrath FC.